For courses in electrical & computing engineering. Feedback Control of Dynamic Systems, 8th Edition, covers the material that every engineer needs to know about feedback control—including concepts like stability, tracking, and robustness. Each chapter presents the fundamentals along with comprehensive, worked-out examples, all within a real-world context and with historical background provided. The text is devoted to supporting students equally in their need to grasp both traditional and more modern topics of digital control, and the author's focus on design as a theme early on, rather than focusing on analysis first and incorporating design much later. An entire chapter is devoted to comprehensive case studies, and the 8th Edition has been revised with up-to-date information, along with brand-new sections, problems, and examples. A comprehensive and easy-to-understand introduction is devoted to supporting students equally in their need to grasp both traditional and more modern topics of digital control. 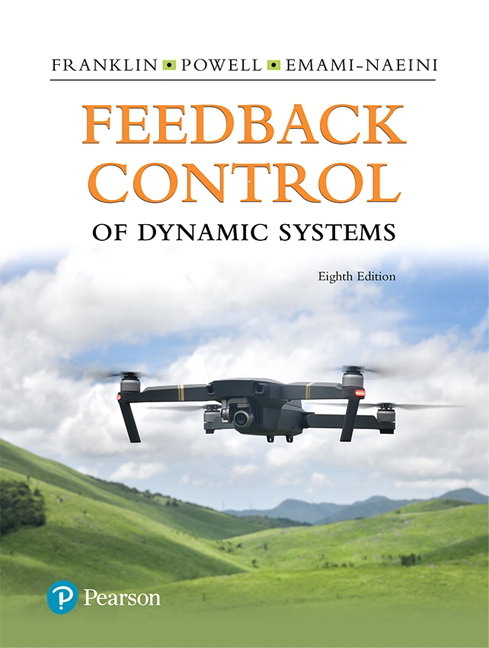 Updated - New material has been added based on user feedback (e.g., on drone dynamics and control) and the text has been updated throughout to include the improved features of MATLAB®. An entire chapter devoted to case studies covers real problems in a variety of fields and draws on all the design methods covered in the book. Historical Perspectives provide interesting but concise historical background sections for the material in each chapter. An emphasis on design, beginning in Chapter 4, builds confidence in solving design problems from the start. Examples compare and contrast the design techniques afforded by the different design methods and complex real-world design problems are attacked using all the methods in a unified way. Relationships used in design and throughout the book are collected inside the back cover for easy reference. Updated - New examples, updates, and additions keep the material relevant and up-to-date. New - Over 60 of the problems in this edition are either new or revised from the previous edition. A collection of all the Matlab files (both “m” files and SIMULINK “slx” files), along with additional material, are available at the authors’ website, www.FPE8e.com, or at www.pearsonhighered.com/engineeringresources. 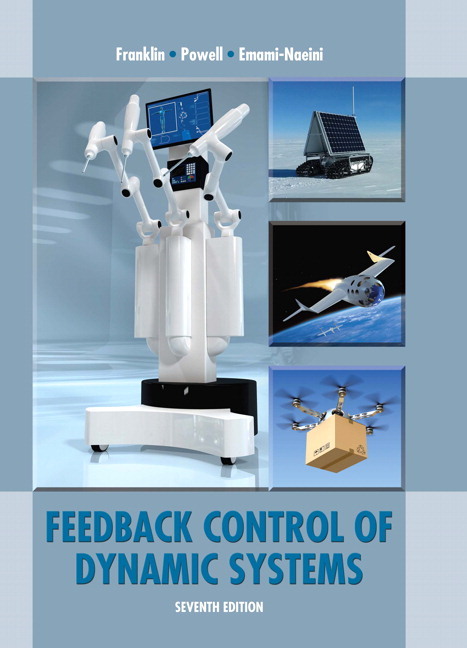 New material has been added based on user feedback (e.g., on drone dynamics and control) and the text has been updated throughout to include the improved features of MATLAB®. New examples, updates, and additions keep the material relevant and up-to-date. Over 60 of the problems in this edition are either new or revised from the previous edition.